For those like me that like everything practical, Laura Vega's studio is a wonderful example of how it could be. 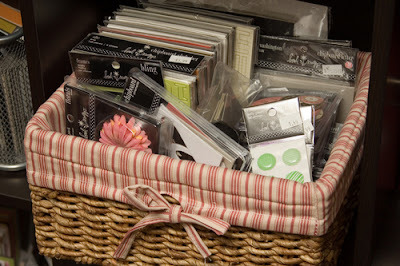 I particularly like how she stores her stickers and other similarly packed embellishments in little pretty baskets. 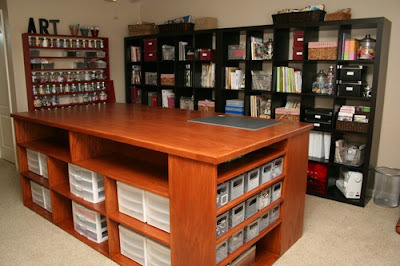 amazing storage... your blog is beautiful!! 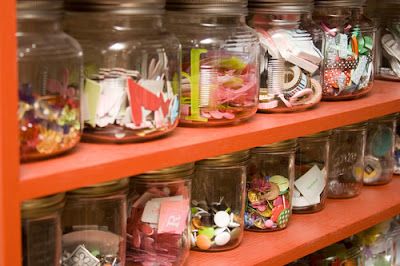 I love laura's space, actually her room is how I found her blog!